Retro soul blues with modern punch! Paying homage to the sounds of the mid-late 1960s, the Pollydevlins are all groove and style. Their first release, (Can't) Give You Love is a cheeky funky party song that show's off Kaliah's blues style vocals! The Pollydevlins are original soul blues with modern punch! The band started out somewhat unconventionally when founding members, Kaliah (vocals) and Amr (bass) got jamming at a party in late 2013 and wrote some grooves that just screamed soul, pop and style! 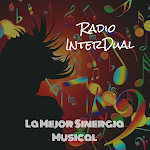 With careful planning, the two decided to keep writing music based intrinsically on Kaliah’s ability to really, truly sing the blues, along with Amr’s love of 60’s garage, blues and soul, and strong original pop instrumentation and arrangements. 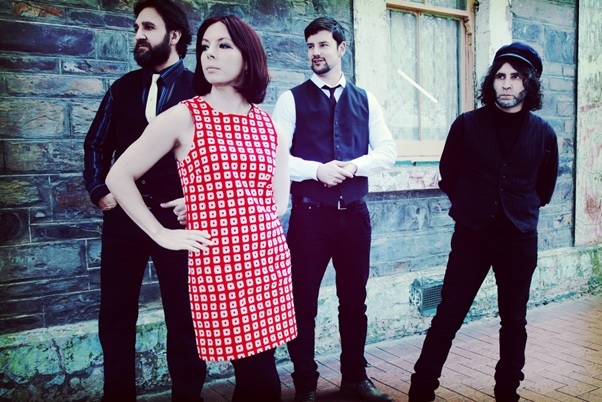 Now as a solid 5 piece, The Pollydevlins have been ripping up the Melbourne and Adelaide soul-blues/rock scene with their original, hard-driving garage mod sound. The live show is energetic, raw and genuine. There are no slick tricks up anyone’s sleeves, just good music played with heart. Their debut single “(Can’t) Give You Love” – one of the first mighty numbers that came together on that creative spring night, has now hit the shelves. The Pollydevlins are so excited about their first release, and really can’t wait to bring on more soulful, groovy tunes! check out the vid for (Can't) Give You Love. The single is also available as 7” vinyl single in a full-colour groovy jacket! Vocals: Kaliah Alice - Kaliah has plenty of experience singing into microphones and wondering what will come out. She is all ad-lib, just add lip! Fundamentally she is driven by the blues that dwell in her soul, passed down to her from a line of musicians on her fathers’ side. With years singing in electro and folk-pop outfits, Kaliah is now finding her fire in the Pollydevlins, with songs centred around her imagination and skill as a vocalist. This is Kaliah singing (and dressed!) at her best. And the great thing is there are lots more songs (and mod dresses) to come! Bass: Amr Zaid - Amr has a long and distinguished history on the four strings, having played in bands of many and varied genres, from alt-country to punk-pop; most notably with groundbreaking fuzz-popsters Ratcat, who hold the honour of being the first ever band to have both an Australian alternative and national number one simultaneously. With the Pollydevlins, Amr returns to his first love of garage-blues, combining this with pop arrangements and working the songwriting off Kaliah’s inimitable, soulful vocals. Guitar: David Glavich - Dave has contributed his musical talent to a variety of bands in the Melbourne scene, from funk to soul, and rock'n'roll. Encouraged by his mother who is an art teacher and visual artist, Dave picked up the guitar at the restless age of 12 and it’s been a love affair ever since. With the Pollydevlins, Dave’s natural ability to play the blues really shines through. He has taste, depth and skill that can’t be learnt or bought or borrowed, it is naturally Glavich! Verve, flair and a good head of hair, what else can you ask for in a guitarist? Drums: Mentor Ejupi - A maestro of tricky sticking with a smooth groove, Mentor has played with a diverse range of acts including Allez-Gator (cajun and zydeco), the Mojokers (blues), One Way Fare (soul and r’n’b). Mentor arrived in Australia from his home in Kosovo as a teenager, and drummed up a storm in the ACT before moving to Melbourne. A pleasure to watch onstage with his obvious charisma and enthusiasm, Mentor’s mojo is the backbone of The Pollydevlins. He keeps the tunes cooking, the women looking and the party going!